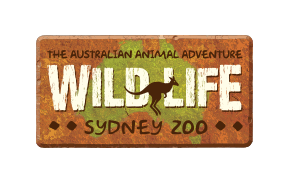 WILD LIFE Sydney offers all guests VERY cheap parking rates at several car parks in central Sydney - from as little as $12 all day! Please note: For WILD LIFE Sydney guests parking at any of the above Wilson Parking Locations, you will need to present your parking ticket AND a valid entry ticket or pass for WILD LIFE Sydney at the attraction to receive the discount. To receive these discounts at Wilson Parking all you need to do is pre-book your parking online or via the Wilson Parking App, select one of the listed car parks and use promo code MERLIN. Or you can present your parking ticket AND a valid entry ticket or pass for WILD LIFE Sydney for that day to the admissions desk staff, who will validate it in our Wilson Parking validation terminal. What is the address for WILD LIFE Sydney Zoo?